The BrainBrowser Surface Viewer is a WebGL-based 3D viewer capable of displaying 3D surfaces in MNI object, Wavefront object, as well as FreeSurfer binary and ASCII surface ﬁle formats. Surfaces and other data are loaded either over the network or from local ﬁles and then parsed in separate threads using Web Workers. Data maps can be applied to loaded surfaces and manipulated by changing color maps, setting thresholds or blending them with other data maps. A Surface Viewer web service has also been made available, allowing developers to make a simple API call to embed a Surface Viewer in their own web pages to visualize their own data. The BrainBrowser Surface Viewer uses three.js for 3D rendering. 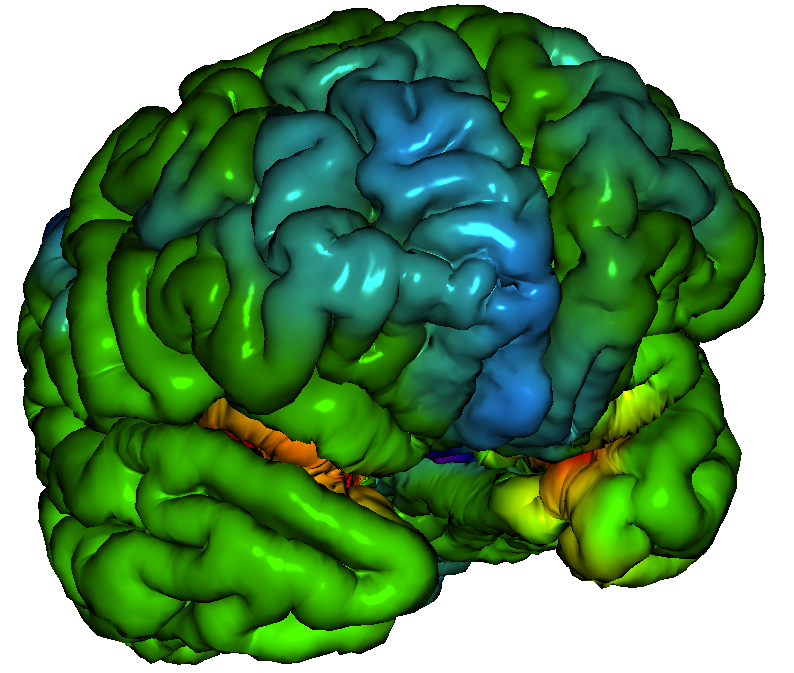 The BrainBrowser Volume Viewer is an HTML5 canvas-based viewer allows users to navigate 3D or 4D MINC structural or functional MRI volume data. The Volume Viewer simultaneously displays slices along the saggital, tranverse and coronal planes, and the user can navigate along each dimension by manipulating an on-screen cursor. Volumes can be loaded over the network or from local ﬁles. Intensity data visualization can be manipulated by changing color maps or setting intensity thresholds. When dealing with 4D functional data, the Volume Viewer is capable of navigating along the time dimension as well. Multiple volumes can be loaded, the navigation through them can be synchronized, and their slices can be blended together. Google Chrome or Mozilla Firefox are recommended for optimal viewing. MACACC Dataset: a demonstration of the Surface Viewer being used to visualize the MACACC Dataset. 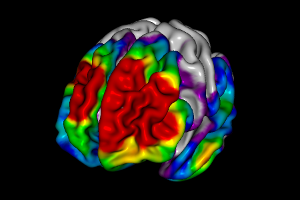 The MACACC Dataset is a 1TB database of 6.3 million data maps representing structural correlations across the cortex. 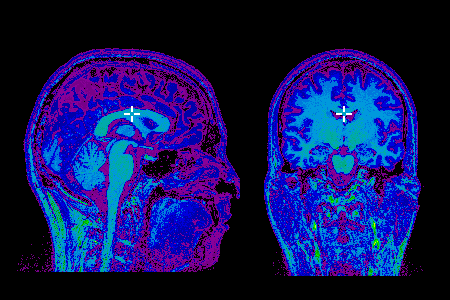 BrainBrowser is developed and maintained as part of the CBRAIN project at the McGill Centre for Integrative Neuroscience. BrainBrowser was originally created by Nicolas Kassis and Tarek Sherif, then developed and maintained by Robert D. Vincent and Natacha Beck. You can prepare your MINC data for use in the Volume Viewer using either minc2volume-viewer.js for node.js or minc2volume-viewer.py for python (requires installation of the MINC tools). 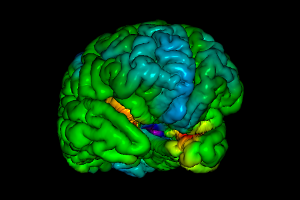 Examples of BrainBrowser usage can be found in the Surface Viewer and Volume Viewer demonstration code used for this site. Sherif T, Kassis N, Rousseau MÉ, Adalat R, Evans AC. Front Neuroinform 2015. BrainBrowser: distributed, web-based neurological data visualization. and insert the returned HTML into your page. The Web Service will automatically load all required library files and launch the viewer. Optionally, you can provide a callback function to programatically control the viewer. Try out some of the basic web service functionality in the BrainBrowser Web Service Demo. Please note the Surface Viewer Web Service is still in its early stages of development. Performance is not guaranteed and the API may change rapidly. Please send any comments or feedback at cbrain-support.mni@mcgill.ca.